A pizza fundraiser - tasty and profitable! 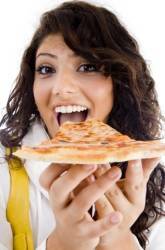 Fundraising with pizzas is a regular part of many non profit groups fundraising programmes. Pizza is the most popular food in the USA. Its also pretty popular in many other countries around the world too! Pizzas (from the Italian for pie) come in all shapes, sizes and flavours. A basic pizza is made from a baked bread / pastry base topped with tomatoes or tomato sauce and cheese. 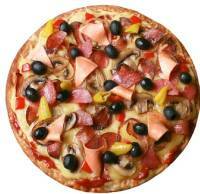 Other toppings such as ham, salami, mushrooms, anchovies etc are then added according to preference. Such a versatile and tasty dish is a mainstay of the week for many people. Pizzas are easy to make at home but there are also no end of pizza restaurants and take-away/ delivery firms too. So how do we turn this into a fundraiser? This is the most common and probably easiest pizza fundraiser to organise and run. Basically you sell special fundraising pizza cards to your supporters. These cards can then be used for money off deals at participating restaurants. The pizza restaurants love this scheme because it encourages customers to their restaurants. Pizza lovers love it because they get discount pizzas. Your organisation will love it because they make a nice profit on every card sold. There are all sorts of variations on pizza card fundraisers. Nearly all the major firms participate as well as schemes specifically for particular locations. There are also a number of schemes whereby you can recruit local pizza outlets near you to sign up to a discount scheme for your supporters. Some card firms will even pay you commission to sign up new pizzerias as participants. This is another variation on the pizza fundraiser theme. Several companies offer a fundraising scheme whereby you take orders either for frozen pizzas or kits containing all the ingredients to make them. You take orders in advance and then either deliver or man a collection point for the pizzas. Most restaurants will be more than happy to help you host a fundraiser in their premises, particularly midweek. Work a deal with the restaurant and charge a straight price for a ticket. 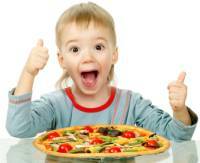 Pizzas make great family meals so try to make your fundraising event family friendly. Don't forget to include some fun extras like colouring sheets, word searches and other little competitions for the kids. 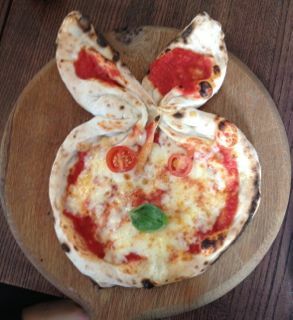 Some restaurants will even let the kids design and prepare their own toppings. Isn't it time you grabbed a "pizza the action!!"